Anyway, I know it’s not exactly a “bronzing time” right now… Summer’s been long gone and everybody’s talking about holiday makeup (which, by the way, is coming soon on my blog 🙂 ) but last week I got a surprise visit from my boy (who lives far, far away) with a lot of goodies from MAC and when he’s here, we always go swimming because our swimming pools are not seasonal, and we have summer throughout the year. So this is when I decided to pick one bronzer to take around with me because we like travelling light. This bronzer is to die for! It’s so soft and just oh-so-beautiful on the skin. When I’m on the run, I apply only this because it instantly gives life to your face. I think this is a must-have, and the shimmer is not so noticeable just like Casino. I don’t want to write so much about this, because this is sooooo amazing! Favourite bronzer out of all five: Was a tough one to pick, but I know I can never go wrong with NARS’ Casino. It’s my ultimate favourite bronzer. Even though Sephora’s Trip to Haiti is so beautiful, if I’m not very careful, it can look too orange on me. I just know my way around with Casino. 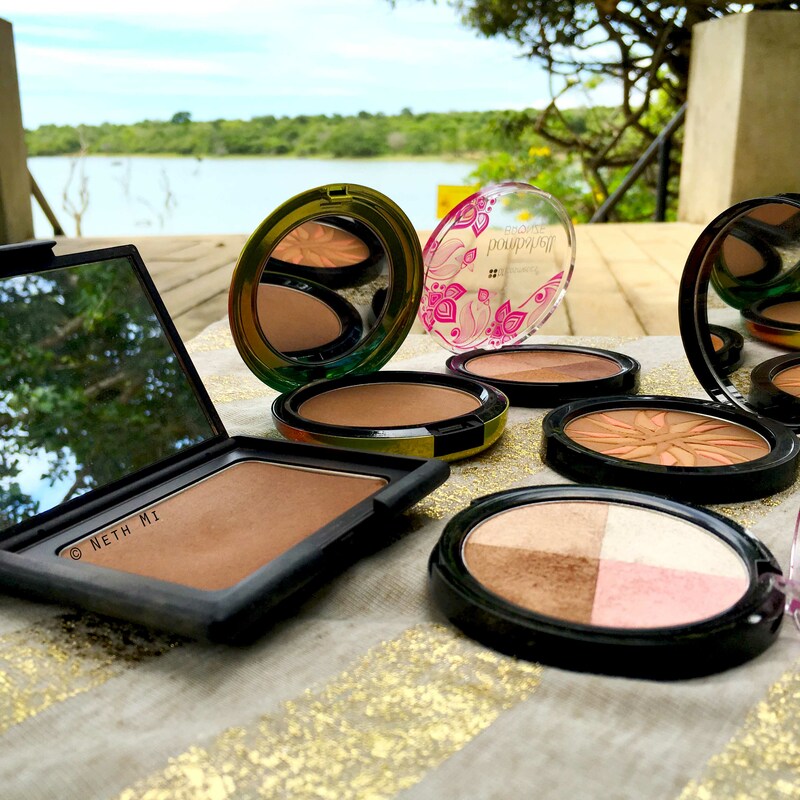 As to the BH Cosmetics Bronzers, I use them very sparingly because of the shimmer.